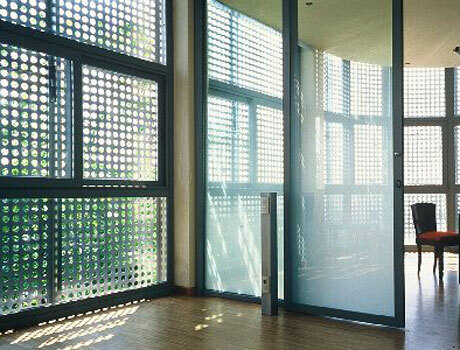 Sun slat are among the most natural applications of perforated metal sheet panels, assuring comfort and improving living space. They blend visual shielding and transparency excellently, with the possibility of regulating sophisticated visual chromatic filters. The multi-coloured surface has a characteristic geometrical relief, with visually captivating chiaroscuro.